Microsoft is all set ready for the launch of its most awaited browser Internet Explorer 9 as it attempts to remain competitive in the browser marketplace. Microsoft delivers everything in its latest browser IE9 to compete with other browser platform and become browser king with its contenders Google Chrome, Mozilla Firefox and Opera. 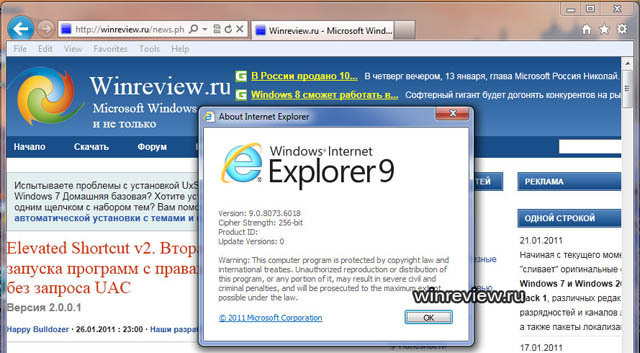 Microsoft Internet Explorer 9 RC build was leaked out earlier and Winreview.ru has posted some screenshots of that leak. The version which will be going to hit the web is 9.00.8073.6018 (WIN7_IE9_Partner.110121-2300). It is believed by many that Microsoft is gearing up for the release of IE 9 and the RC builds are of near final quality. Microsoft is also taking privacy to a new level, allowing the browser to block a website's ability to use location based services too. 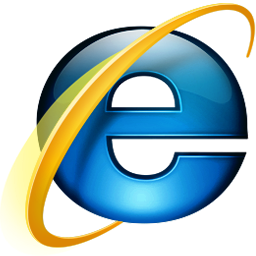 Microsoft has just announced through its media press release about Internet Explorer 9 event on February 10th. The announcement will take place in San Francisco. Microsoft is gearing up for the launch of IE 9 as it attempts to remain competitive in the browser marketplace. For Microsoft, IE 9 represents its latest attempt to remain the browser king while it fights off contenders Firefox, Chrome and a host of others. If Microsoft does not find a way to stop users from leaving the platform, its market share will continue to drop until it is no longer the market leader.